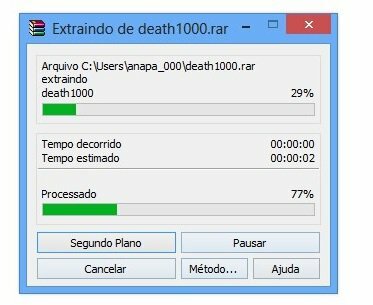 This version of WinRAR is not compatible with your operating system, veja a versão compatível. WinRAR is an application for you to compress or decompress files on your computer, with support for several formats. With it, you can reduce the size of a file or even split it into several pieces for easy sending or sharing. In addition, the program supports several formats, such as RAR, ZIP, 7-ZIP, ACE, ARJ, BZ2, CAB, GZIP, ISO, JAR, LZH, TAR, UUE, XZ and Z. The application is able to work with the ZIP, RAR and RAR 5 types. Click here to check out the premium version of the software. If you've ever had a hard time compressing or unpacking a document, you know how important it is to have a reliable tool for the task. In addition, with the wide variety of formats available, it is also necessary that the chosen program be flexible and able to handle various file types. WinRAR virtually lacks presentations, being one of the most popular tools on the market to perform these tasks. Its interface is also well known, featuring the functions divided into menus, but with the main tools are displayed in button form at the top of the screen for easy viewing. During the installation of the program you can already define which are the formats that you want to associate with the application, marking the options that you consider appropriate. There are two ways to compress a folder or a file. You can open WinRAR and use the available field on the screen to find the compression target. Once this is done, just click the "Add" button. As an alternate way, you can right-click the item and select the "Add to File" option. Whichever way you choose, a new screen opens so you can set the desired parameters for the task. First, you can modify the name of the output file by typing the option of your preference in the field available for that. You can then choose the format for compression by selecting the alternative that you think is most appropriate from the available ones. There is also how to define the method to be used for the task (slow, normal, fast, etc.) and perform compression by separating a multi-volume file. To do this, simply indicate the desired size for each of them. In addition, you can choose a password to protect the file (in "Set Password"). With these basic settings you can already perform the compression normally. 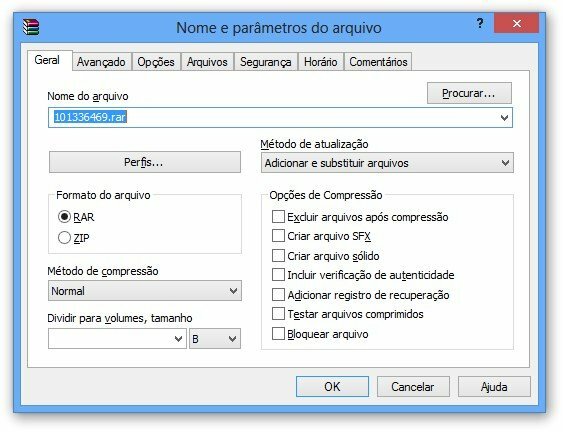 However, if you wish, you can modify a number of other preferences in the other tabs available in the compression sector. When everything is as you want, click "OK". Once this is done, the operation is initiated automatically and the process can be monitored in real time by the program interface. To unzip a folder or a file, right-click it and select the "Extract Files" option. As an alternative way, you can also double-click the compressed document and, in the open interface, use the "Extract to" function. Then you can define methods of updating and replacing files and choosing the directory in which you want to store the content to be unpacked. The operation takes only a few moments and you can follow the progress of the process in real time through the program screen. WinRAR virtually eliminates presentations, being one of the most well-known tools on the market when it comes to file compression and decompression. The interface of the program is familiar and well known which makes it very intuitive. In addition, the options are organized properly, bringing the most commonly used functions in button form. Another good point of the program is that you can either perform your functions directly on the application screen or start the functions through the context menu of the files, streamlining the process. The operation can be carried out in batches, with the possibility of including as many documents or folders as necessary. 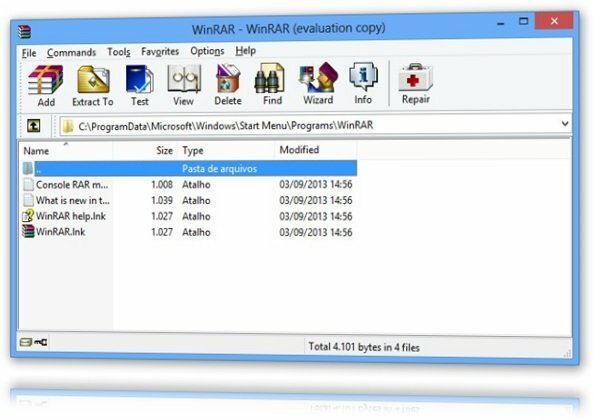 In addition, WinRAR is also able to support a large number of formats for unpacking, which makes it very flexible. Although it does not have many types available for compression, it still has the most commonly used templates. All processes were executed very quickly, even in the case of those larger files, without unnecessary delays. Another point worth mentioning is the compression capacity and also the issue of file security. You can add a password and ensure that only authorized people are able to open the content, increasing the protection for confidential documents.